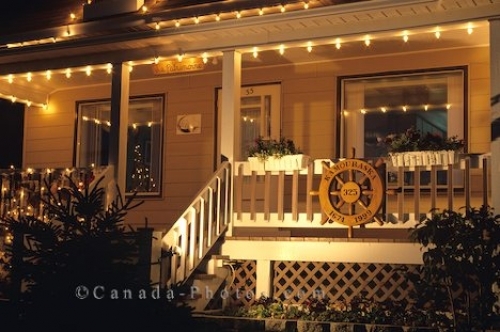 A quaint house in Kamouraska, Quebec in Canada is decorated with Christmas lights for the holiday season. The Christmas lights blend in beautifully with the color of this house that is situated in Kamouraska, Quebec in Canada. The white lights seem to bring a feeling of peace around this house and add to the beauty of the Christmas spirit. Kamouraska, Quebec, Canada, North America. Here you can find more beautiful christmas pictures. Picture of white Christmas lights adorning this adorable house in Kamouraska, Quebec in Canada.